Last week, we covered the debate over the central question of a Pennsylvania Senate committee hearing: Should the state end a 40-year ban and allow insurance appraisals to be based on images alone? The Banking and Insurance Committee forum also again raised — albeit as a side note — the issue of reconditioned wheels. 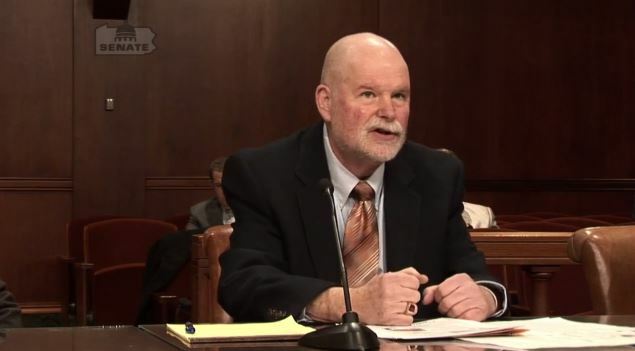 Seeking to make a slippery-slope argument about the dangers of opening the door for photo appraisals under House Bill 1638, Pennsylvania Collision Trade Guild Director Steve Behrndt related a history of reconditioned wheels to Chairman Don White, R-Indiana area. Wheels today are $300-400, said Behrndt, owner of Crawford’s Auto Center. About 15-20 years ago, it became a practice to repair minor “road rash,” such as a wheel scraping the curb, and some companies arose to meet the demand for that service, according to Crawford. After running out of slightly damaged wheels to repair and resell, the companies began to look for more heavily “cracked and damaged” wheels and sell those into the marketplace, he said. “A little simple industry started to help repair wheels, and now every insurance carrier wheel we deal with … (the insurers) write an estimate for a reconditioned wheel,” he said. “It doesn’t matter whether your car’s a 2013, a 2014, a ’15 or a ’16. 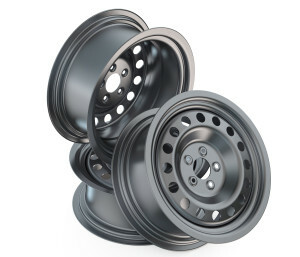 If you have a damaged wheel, it’s gonna be written for what we call a reconditioned wheel. “They write it, they pay for it. And then in our industry, we’re stuck with the liability. … Who is responsible for that reconditioned wheel if they wrote it? In the past, repairers could at least pull a good used wheel from a salvage yard and use that for a vehicle, according to Behrndt. But the explosion of reconditioned wheels has changed that, he said. And here’s some coverage and commentary, respectively, featured in CRASH Network and Auto Body Repair Network. Behrndt’s point references a larger issue with using non-OEM parts, particularly reconditioned ones: You don’t know what you’ve really got. The manufacturer or supplier says they’re safe. The repairer and OEM says they might not be. Both could be right in certain conditions. But nobody knows. Unfortunately, the only way to find out is to pull a vehicle apart after another problem or collision, and unlike airplane incidents, there’s no guarantee the National Transportation Safety Board or some other governmental body will conduct a meticulous, neutral dissection. And nobody else (universities, think tanks, etc.) seem to be studying this kind of thing consistently either, outside of perhaps competing expert sources from the various interests. Admittedly, in most cases, driver error will likely still be to blame, but the investigations into potential contributory factors could at least yield some comprehension of what aspects of the automotive aftermarket haven’t been up to snuff. For now, you have to almost luck into that information, as notably seems to have happened in Vermont. A son requested more details of his mother’s vehicle death from the state DMV, and the DMV, which apparently had some time on its hands, obliged him with an investigation. It ultimately delivered a fascinating and chilling report that revealed just how badly prior investigators and mechanics allegedly dropped the ball on fatal, glaring problems with the car. But unless this sort of thing becomes more commonplace, we’ll have both sides circling around the issue, and consumers stuck in the middle.